Conveying has become indispensable part of every application in the industries, amid heavy duty is not excluded. Conveyor belt for heavy duty application has proved to be a bonanza while it is a matter of conveying heavy equipment, industrial equipment and infrastructure materials that not only has reduced the labor and manned, but also has escalated the production. However, this demands conveyor belts sharing good mechanical strength and toughness to outlive and outperform under the harshest environmental conditions at cost effective rates. Our heavy duty conveyor belts are engineered procuring the top grade PVC/PU material and concentrating on all needed consideration in order to obtain best in class finished product attributing high tensile strength. 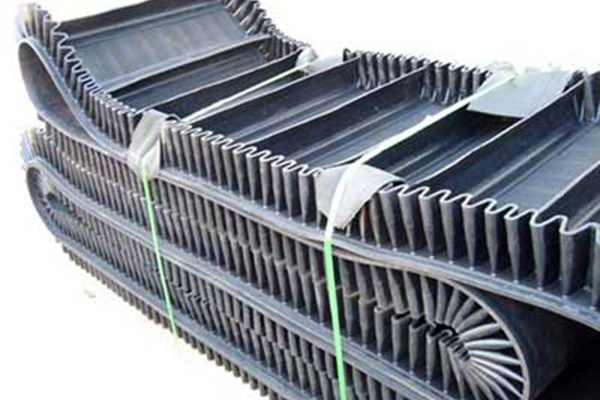 The multiple layers of such a high tensile strength material and incorporation of the carcass make our range of heavy duty conveyor belt a toughest against heavy loads, other than the exemplary shock absorbing property of the material reduces the vibration at the significant extent and hence improves productivity even for the continual conveying operations. The offered heavy duty conveyor belts has proven its competence in handling large, asymmetrical shaped products in horizontal as well as inclined application, thanks to the abrasion, wear resilient nature of the PVC/PU material used in the construction of the offered range. The adherence to the international quality standards during the manufacturing and severe quality checks against substantial parameters, including highest abrasion loss, tensile strength and elongation break helps ensure the conveyor belt quality and its potential against heavy loads. Our wide collection of the heavy duty conveyor belt is thriving in the divergent industry verticals, including mining, shipyards, construction, processing, thermal, foundries, wood, marble, metal working and other analogous industries by serving impeccably without cuts and impacts throughout lifespan. Other than, excellent resistance to the weathering aspect of our heavy duty conveyor belt entitles to use for outdoor application without any concern of devastation. We as a manufacturer of the heavy duty conveyor belt making available in the broadest catalog, keeping the cost as low as possible and quality and safety to the highest priority in the heavy duty applications. This heavy duty conveyor belt is also available in custom made range as per the specified parameters from end users, in different strength (vulcanized technology), thickness, width, length, and also fused with the cleats, sidewalls, and corrugated walls as per the application need. Invest in our heavy duty conveyor belt, we guarantee that you will find it reliable partner for your heavy duty conveying need, available at most competitive rates in India and other countries. The excellent abrasion resistance of the PVC/PU material help composes the high strength heavy duty conveyor belt that is excellent for the abrasive applications like stone, ore, uneven loads, rock, ore and mining applications. Again the material has proven to be the excellent against cuts and impacts and hence our heavy duty conveyor belt can be used for conveying sharp edged material including, metal, sharp rock, glass and similar products. The PVC/PU material shares good sustainability against tear and that makes it suitable for the tough applications like crushing and reprocessing. The offered conveyor belt is also suitable to carry a material that is sticky without any risk of contamination, and hence finds its application in the pulp, wood, paper industries. The material is water resistive and hence has a low moisture absorption ratio, unlikely to other material, other than corrosion resistance ensures its use for wet and dry application need. The fire retarding property of the PVC/PU material entitles the usage of the offered heavy duty conveyor belt for under & above ground mining as well as power plant applications. The PVC/PU (approx 92˚C) material has high heat distortion temperature and therefore being the favored choice for cement & construction industries to convey hot asphalt and bottom ash without any damage to belt.